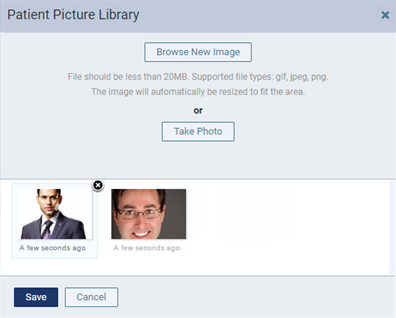 In the lower half of the dialog box, the thumbnail image that is currently assigned as the patient's picture is selected. Click (or tap) that image's Delete button to delete the image. 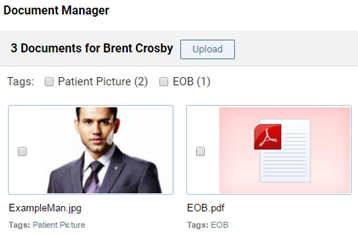 Important: Deleting the patient's picture here will also delete it permanently from the patient's document manager. 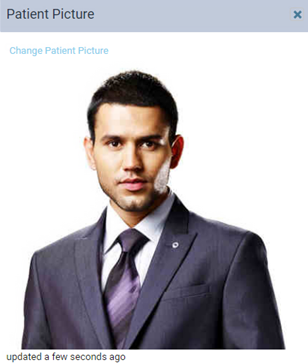 Any place where the patient picture previously appeared now has a placeholder icon instead of a photo. The photo is also deleted from the patient's document manager.